Transform your bathroom into an extraordinary place to relax with an Opus freestanding bathtub. The Opus Collection, which features easy to clean, high-gloss, acrylic tubs, is a new collection from Fleurco. Each bathtub is spacious, allowing for ultimate comfort during your bath. Choose from an assortment of models, including double ended, contemporary, oval, and rectangular tubs. 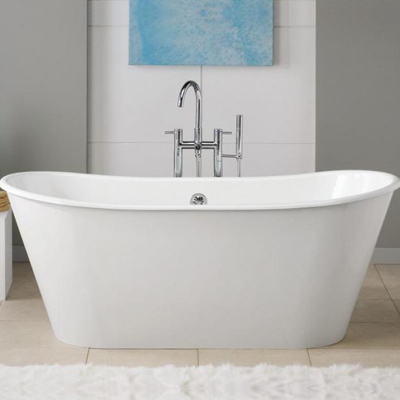 If you’re looking for comfort and style, then Opus is the freestanding tub brand for you! You’re sure to find the best Opus bathtub for your bathroom when you shop Vintage Tub & Bath. We price match any legitimate competitor’s price, and can custom order any Opus Fleurco product. Just call us at 877-868-1369 or email us at supply@vintagetub.com.